This perfectly placed 27 Hole Golf Course will show you just enough beauty while still testing your game. 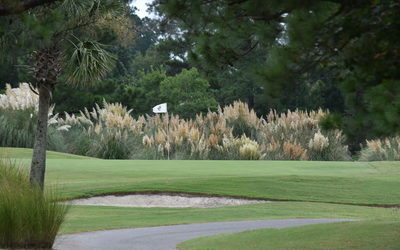 Brunswick Plantation hosts three nine hole courses Dogwood, Magnolia, and Azalea. Built and designed by William Byrd in 1991 and then re-done in 1997 by Clyde Johnston, Brunswick Plantation is an excellent mid-level course for a great value. 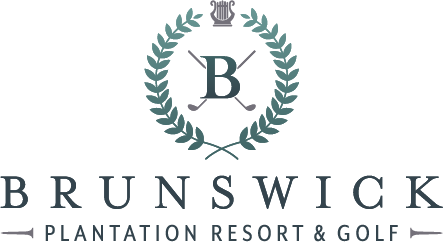 Located on site with Brunswick Plantation Resort for your golf accommodations. Built in 1999 by “The King” himself Arnold Palmer. 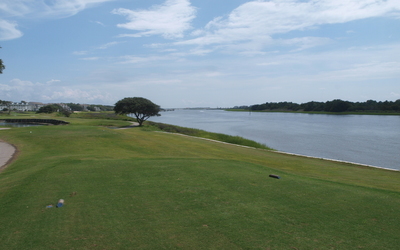 River’s Edge is one of the most scenic courses along the Grand Strand and in North Carolina. 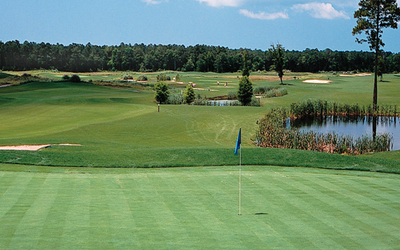 River’s Edge is Brunswick County’s top courses that will challenge even the best of players. 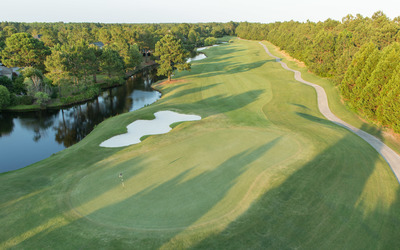 With top level service and course conditions, River’s Edge is a course that will have you coming back year after year. 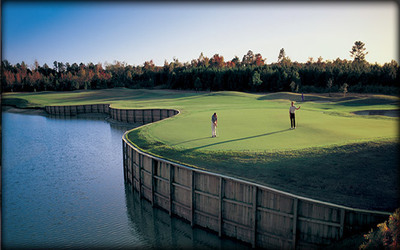 The course is located only 30 minutes from Brunswick Plantation Resort And Golf. Farmstead Golf Links was designed and built in 2001 by William Byrd and David Johnson. 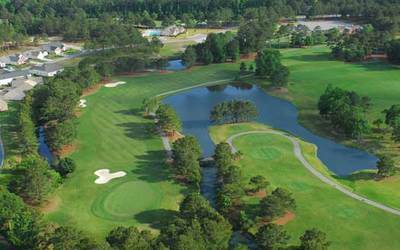 Farmstead for years has been one of the most underrated golf courses in the Myrtle Beach and Brunswick County Area! Golfers love this course and the Par 6 may be odd to some, but it really is a great golf hole. Less than 10 minutes from Brunswick Plantation Resort and Golf. Meadowlands Golf Club maybe be an underdog for some, but this course over the years has provided one of the best experiences around for the money. 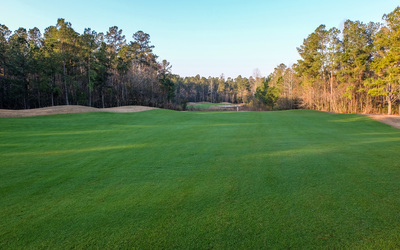 Built in 1997 by William Byrd, this 2019 Myrtle Beach Golf Course of the year is perfect for all players, especially the women. 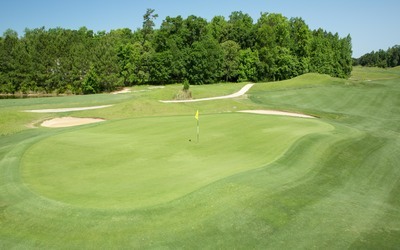 This is a must play on any package and is less than 10 minutes from Brunswick Plantation Resort and Golf. This Dan Maples design may be one of the favorites in Brunswick County. 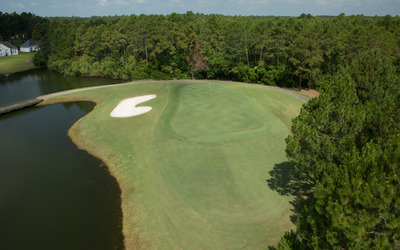 Sandpiper Bay leads the area in style with it’s unique merchandise and energy that fills the course. Many groups love Sandpiper Bay because for some reason, everyone plays well there. This value course will be the perfect addition to you package when you stay at Brunswick Plantation. Just 15 minutes away and the experience itself will be a memorable one. 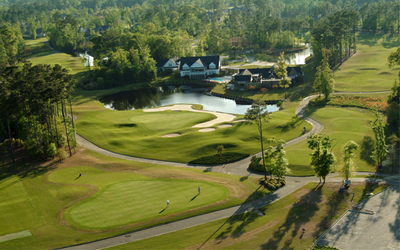 The Pearl Golf Links hosts 36 holes of great golf. The East course established in 1987 has become a popular choice for all golfers. This design feeds through the trees and opens up at several greens. Make sure you know which way the wind is blowing so you don’t get surprised. The Pearl is a favorite for large groups and over the years they continue to provide great conditions year round. Of the 36 Holes the Pearl Golf Links offers, some will say the West is the best. Weaving in and out of the marsh the West Course will test your imagine while giving you all the scenery you need on a golf course. This course will challenge the best, but will leave you talking about it after the round. Don’t miss the chance to play this gem. The once rated #1 Golf Course in North Carolina by Golf Advisor, Thistle Golf Club will mentally take you across the pond. The course represents everything Scotland from the clubhouse to the winds. 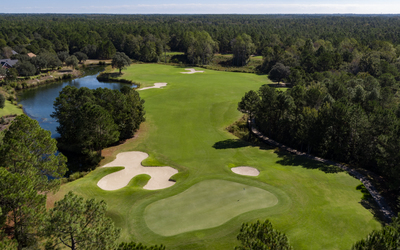 This is a premium course with a price tag to match, but will add an experience you won’t get anywhere else in Brunswick County. 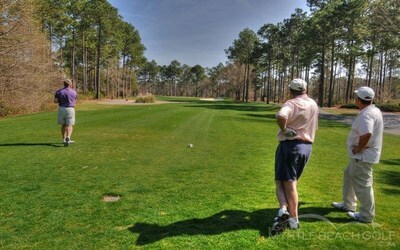 The only Fred Couples Signature Course in the Brunswick and Myrtle Beach Areas. 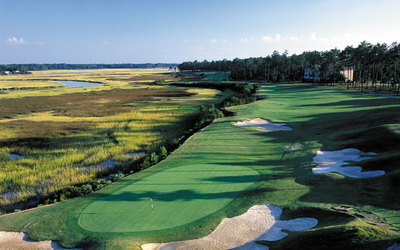 Carolina National is one of the most underrated courses on the Grand Strand. This is a must play in any package. From the River, to the Marsh, and the abundance of wildlife your eyes will as busy as your golf swing. Only 35 Minutes from Brunswick Plantation you can play this beauty on the way in or out from you Brunswick County and North Carolina Golf Vacations! Eagle Nest Golf Club is highly requested course. It comes with exceptional value and is playable for all. This Gene Hamm design may be one of his finest. Located right in Little River next to some of the best eateries in town, Eagle Nest is only 15 minutes from Brunswick Plantation. Some may say that Eagle Nest has the three toughest finishing holes in the area. Book it on your next trip and you can judge that for yourself. 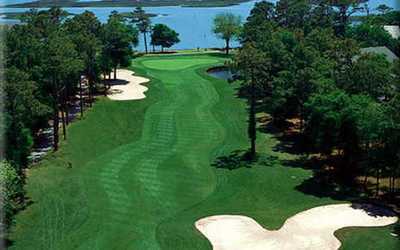 Diamondback Golf Club is a perfect course for those you coming in on Highway 9 to the Myrtle Beach Area. Surrounded by wetlands this course will surprise you. Many area Golf Directors love this layout and for the price you can’t go wrong. Pair it with any package for day of arrival or departure. Only 30 Minutes from Brunswick Plantation and only 35 Minutes or so from Interstate 95. Play Diamondback, but bring your “A” game. BENT GRASS GREENS! One of the few courses left in area that still have the beautiful and fast bent grass greens. Crow Creek is the most requested course on the North End. This Rick Robbins design from 2000 is one of Brunswick Resorts most popular courses. It may be a Par 5 and a Par 4 from Villa to Clubhouse as the crow flies. The absolute perfect course to put in your rotation. Lockwood Folly may not be on most golfers radar. It is said that they are “too hard” to get to. Well with google and smartphones you don’t want to use that as an excuse to miss this gorgeous golf course. The staff may be the friendliest around and the layout, although short, will challenging every piece of your game. With a brand new clubhouse that will drop your jaw and a stunning finisher in 18. You need to play Lockwood Folly at least once while staying at Brunswick Plantation. Will you accept the challenge? Brick Landing has a slogan that will make you laugh, but it is true. “It takes balls to play the Brick”. The Brick is a great layout located in Shallotte, North Carolina. As they continue to make improvements to the course you will want to find out if you have what it takes. Right on the Intracoastal Waterway, if the tight fairways don’t get you then make sure you stay away from the water. Side Note. One of the most beautiful locations for a wedding you can have. Only 30 minutes from Brunswick Plantation Resort or less. Play the Brick and see how you do. Wachesaw East was formed in 1996 by one Clyde Johnson. 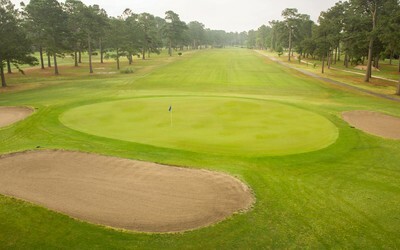 This maybe one of golfers favorite courses on the Grand Strand. Wachesaw East is also the former host of several LPGA Tour Events. Located in the Murrells Inlet area if you play here please make a day of it. Surrounded by some of the freshest and best seafood around. Great Golf and Great Food, what is not to love.